Successfully Added ZTE Grand S Lite Smartphone - 5 Inch FHD 1920x1080 Gorilla Glass Screen, Android 4.2 OS, Quad Core 1.5GHz CPU to your Shopping Cart. 5 Inch Display 3G Android 4.2 Phone that takes you to the top of the podium due to having excellent specifications and made with quality as it has a FHD 1920x1080 Gorilla Glass Screen and a MTK6589T Quad Core 1.5GHz CPU, this phone will change the game. ZTE has finally arrived at Chinavasion, and we at Chinavasion are proud to announce that we have the “ZTE Grand S Lite”, which is one of the best pound for pound phones available especially when you compare the specifications it has with the awesome wholesale price. ZTE has a great reputation as one of the biggest manufacturers of telecommunications and mobile phones in the world; they are definitely a major player on the international circuit. This “ZTE Grand S Lite” phone is well-known for having an ultra slim 6.9mm body meaning it is easy to carry and convenient to hold while having one of the best screen technologies about and that is gorilla glass. 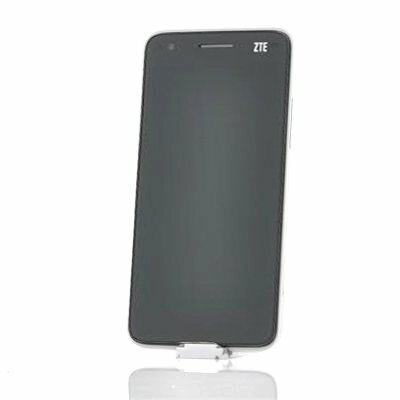 With a 5 inch display with a 1920x1080 Gorilla Glass OGS technology screen, not only is the display of the “ZTE Grand S Lite” cell phone tough while being sensitive enough to handle 10 point multi touch for navigation but it display your media and other content in full high quality leaving you in aura. In 2013, the ZTE Grand S beat 4,325 other entries from 51 countries to win the iF International Design Award as it represented a breakthrough in traditional design concept. The major high branded phones fear the “ZTE Grand S Lite” mobile phone and for good reasons as it uses the very popular Android 4.2 Jelly Bean operating system that really come to life with this phone. Create your dream phone with all the abilities that Android 4.2 offers including the opportunity to access the pre-installed Google Play store to download some of the thousands upon thousands of applications housed there. Pure power is standard with this high quality ZTE Android phone as it boasts a MT6589 quad core processor that reaches speeds of up to 1.5GHz. When that CPU is paired with the 2GB RAM that is incased in the super modelesque body of the “ZTE Grand S Lite” mobile phone, then the result is a magnificent performance that is truly hard to beat. There are many other features included with this smartphone such as 16GB of internal memory, which can be expanded even more by the built-in micro SD card slot that supports up to an additional 32GB. Manage two separate SIM cards on this one phone including the ability to support 3G as the “ZTE Grand S Lite” quad core Android phone will let you make the call or surf the web from almost anywhere in the world. Take pictures or record videos with the 13 megapixel rear camera that this “ZTE Grand S Lite” phone has or use the front camera to take self-portrait photos or engage in online web chats. Chinavasion is extremely proud to have such an excellent phone from ZTE and also the chance to offer it at such a fantastic price. 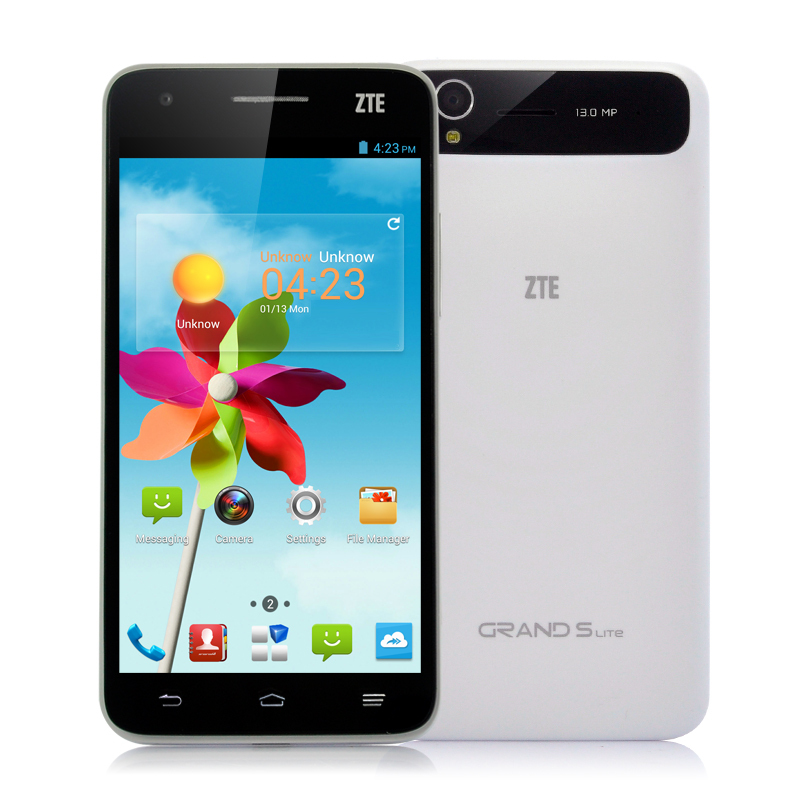 In stock now, we guarantee that the "ZTE Grand S Lite" Mobile Phone can be dispatched within one working day with a 12 months warranty. Brought to you by the leader in electronic devices and wholesale ZTE Android Phones, Chinavasion. This phone is stored at our Hong Kong facility and will be dispatched separately if ordered with different products, which may result in a slight delay with delivery. Please select UPS as the courier when checking out. Exelent product in very good price. It took about 15 days to be delivered in GREECE. Brilliant screen,very good overall performance,steady and fast.A very good value for the money it costs.About 15000 benchmark with antutu. Delivery to Greece took about 20 days though,but I don't know if this is due to clearance procedures at local customs office. Everything went as planned. The seller answered all my questions. In short: Fast Shipping Great Product. I love this phone.